Free Health Tips | Good Nutrition | Healthy Diet Child: Why are my teeth stained? Over time you may notice that your teeth are becoming stained. The outer layer of your teeth is called enamel, and although very strong (as strong as marble in fact), it’s also quite porous – and, as a result, quite easy to stain. Dark coloured foods and drinks are often quite high in chromogens (these are compounds that stick to the enamel and cause staining). Acidic foods pose a large threat to your teeth because they can damage the enamel. And then we have tannins (found in wines, plants and seeds) that can make stains last longer on your teeth. A good rule of thumb to follow is this: if a food can stain your clothes, it can stain your teeth as well. 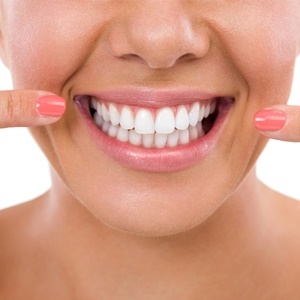 It’s fairly simple to prevent stained teeth by making a few lifestyle changes. Coffee drinkers and especially smokers should consider cutting back or quitting all together. Also follow a meal with a glass of water to wash away any leftover food. Make sure you brush your teeth properly every day, floss regularly and make sure you see your dentist once a year. If one tooth stands out as being darker than the others, it could be a sign of trauma – if a ball hit you in the face or you fell. It could mean the nerve is dead and will need to be treated to prevent an abscess forming, which could result in the loss of the tooth.